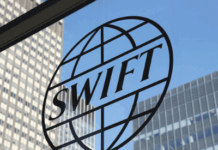 Article 40A: Form of Documentary Credit is a swift message field under the MT 700 Issue of a Documentary Credit swift message. This field indicates the form of the letter of credit. What is field 40A: Form of Documentary Credit? 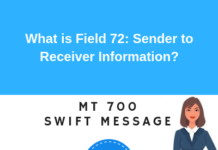 Field 40A: Form of Documentary Credit is a field in MT 700 swift message that is used to indicate the form of the letter of credit. This field specifies the type of credit. IRREVOCABLE The documentary credit is irrevocable. REVOCABLE The documentary credit is revocable. IRREVOCABLE TRANSFERABLE The documentary credit is irrevocable and transferable. REVOCABLE TRANSFERABLE The documentary credit is revocable and transferable. IRREVOCABLE STANDBY The standby letter of credit is irrevocable. REVOCABLE STANDBY The standby letter of credit is revocable. IRREVOC TRANS STANDBY The standby letter of credit is irrevocable and transferable. 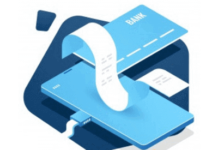 Details of any special conditions applying to the transferability of the credit and/or the bank authorized to transfer the credit in a freely negotiable credit should be included in field 47A Additional Conditions. Previous articleHow to Check a Letter of Credit as an Exporter?